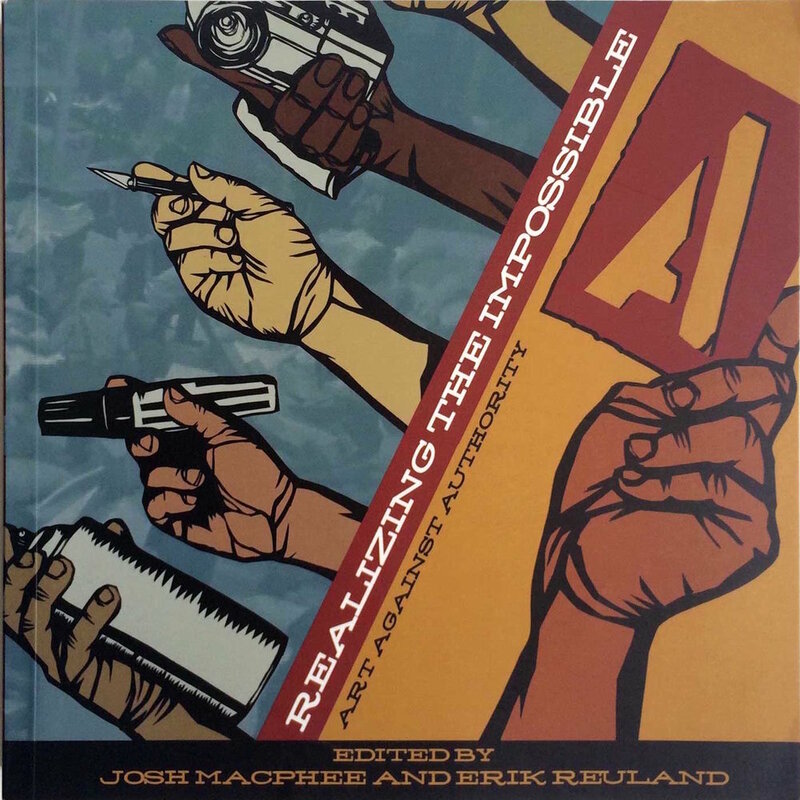 In 2007 I contributed a chapter to the AK Press anthology Realizing the Impossible: Art Against Authority. Click here to read see the full text. 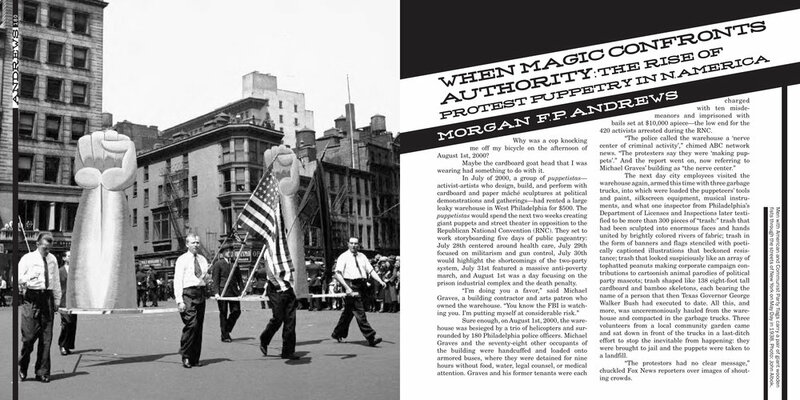 My chapter traces the history of political puppetry from ancient tradition of picture theatre and medieval pageants, to the labor, civil rights and anti-war movements of the 20ths century, leading to large demonstrations organized against corporate globalization at the start of the 21st century. 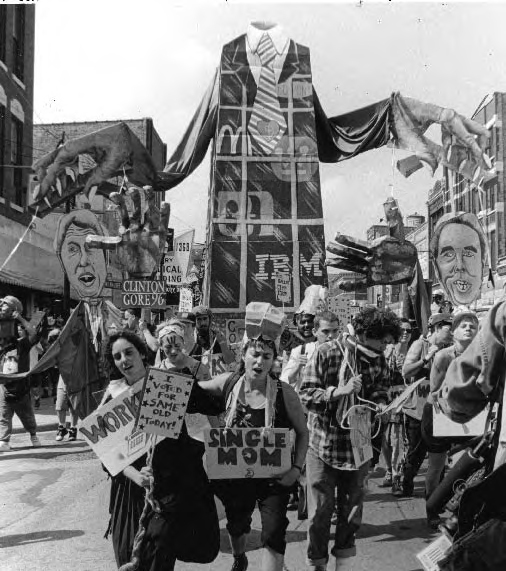 Photo Credits: The Bread & Puppet Theater's Domestic Resurrection Circus (Paul Petroof, 1985), prisoners display survey results for the quincentennial of Columbus' arrival in the Americas (Clare Dolan, 1992), float about the Spanish Civil War at the 1939 May Day Parade in New York's Union Square (1939, John Albok), "The Corporate Power Tower" at Chicago's Active Resistance (Susan Simensky Bietila, 1996). Book cover art and design by Erik Ruin and Josh MacPhee.